As we posted back in mid-December, we are going to be rolling back to the Beta tuners for feedback purposes. 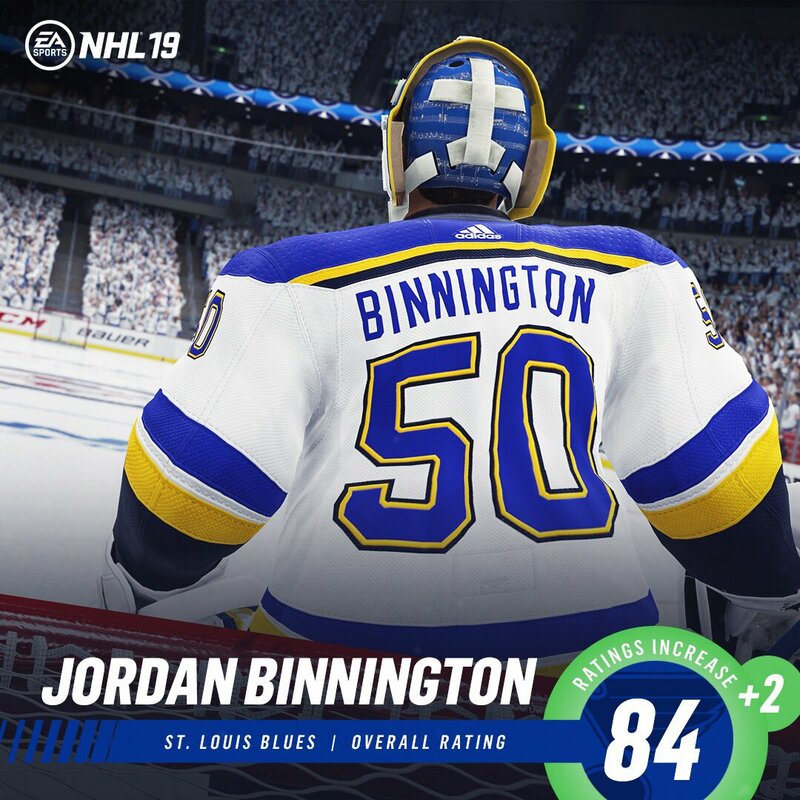 Ahead of us rolling back to the Beta tuner, we wanted to let the server change for HUT to settle and gather feedback from you around the current state of gameplay. Below is link to a survey for you to fill out based off of your feedback around the CURRENT gameplay experience in NHL 19. This survey is to be used for your experience with the latest up-to-date tuner (v1.03) and will close once the Beta tuner is live. Please answer it as honestly as possibly, as your feedback is very important. After we receive feedback from a wide set of the community and we feel that the HUT server change has settled, we will be in position to rollback to the Beta tuner and gather your feedback on the Beta tuner. We will update you the day before the Beta tuner goes live and will be providing you a new survey to fill out based on your experience with the Beta tuner. Once the Beta tuner is live, it will be live for a week (7 days). When it is released, the Beta tuner will be live in all online modes with the option to go back to it in offline modes. A pretty vague survey...still did it. Thanks for the update. can’t wait to wait to enjoy the speed and big hits for a solid week! I completed the survey but thought that section 6 and 7 could have used a free text input as well to add more depth - for example my recent experience with the servers has been that even though I get a ping below 10ms I can experience very different skating speed and responsiveness. I'm not sure what this is due to but that is why my skating and decking experience lately has only been somewhat good and I somewhat agree with the questions in section 7 - I could have easily picked somewhat bad if that had been the option - 50-50 in other words. yeah considering the phrasing it was a bit concerning. I tried to answer it honesty, but almost wonder if that was wise. If nothing else you have to agree the devs have been open & honest in feedback with regard to gameplay, I'm sure it'd be the same with everything else if they were allowed. I'd be willing to bet they'll take the results in context, and its probably a good idea to brace yourself for the possibility whatever influences the outcome doesn't agree with you 100%. I guess it's a good thing we couldn't write our own feedback in this survey, I have a feeling it would of been quite nasty. Yes. Some questions I feel should've been developed more. Like the one that asks you how you feel about skating agility. Do you mean WITH the puck or WITHOUT? Because both feel very different. Also the one about dekeing. Did you mean the auto-dekes or the one-touch dekes? Does it include the spin-o-ramas? Also, I had to re-download and re-install the game in order to answer these questions... Thanks EA! Yes, I appreciate how @NHLDev has been so open and available. His posts are pretty unbelievable in quality, thought process and lenght considering he also has to actually work on the damn game. I have been vocal about it though, and said that about him publicly here. Well I may have prefered the new tuner, since I trust @NHLDev more than EA as a whole at this point. This is just awful. Watch these twitch streams and tell me the current tuner is fine. Anytime someone skates over the blue line, they are ALWAYS going backwards. What a joke. Well I could barely manage to watch a full game of that garbage. If this is representative of elite play then EA needs to discard any feedback from these so called elite players, let’s start calling them what they really are, the raggin glitchers and cheezers. All they want to be able to do is dance around the rink till they get short side or cross crease. I watched a few twitch streams on NHL 19 this year and it's unberable to watch. Watching them puck ragging, constantly going for short side and saying "oh there we go boys TOP CHEESE!" after they finally get it to go in short side. So painful to watch, that is not how hockey is played. I would think that EA would want the opposite of that but somehow these twitch streamers seem to have a big input on how this game gets tuned. All i'm hoping now is the 7 day beta roll back isn't the last good gameplay we will see this year. Gameplay in online vs should be set that users can deke around AI defence at a higher completion rate. People don’t turn into their defence and rely on their overpowered AI to get the puck back. I’m sorry but I play online to PLAY other users not the cpu.